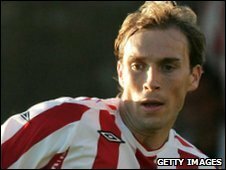 Sunderland have cancelled the contract of Scotland international defender Russell Anderson by mutual consent. Anderson, 31, was signed by former boss Roy Keane from Scottish side Aberdeen for £1m in June 2007 but made just two appearances for the Black Cats. "This decision has been taken to give him an opportunity to find a club where he can fulfil his desire to play," said Sunderland boss Steve Bruce. "His attitude and determination to get back playing have been exemplary." The centre-back made more than 300 appearances for Aberdeen during an 11-year stay at Pittodrie and captained them. He started just one game for Sunderland and had loan spells with Plymouth and Burnley, with his last first-team game for the Clarets against Fulham in September 2008. He was in talks with Scottish Premier League side Hibernian before his exit from the Stadium of Light.